If you live in a predominantly English-speaking area, learning to speak English clearly and effectively is very important. Below are ten reasons why educating yourself in English fluency can help you in all facets of your life. 1. It can be fun! Learning to speak English like a native doesn’t have to be a chore. In fact, it can be fun! There are many opportunities for an ESL Learner to craft their English skills, some through mediums usually reserved for entertainment. Whether it’s to learn more words or for accent reduction in English, watching a movie or TV show, listening to music, reading a book, and playing games in English are all perfectly fine—and fun—ways of shaping your skills. If you cannot speak English clearly, you will be at a disadvantage when it comes to job hiring. Employers are looking for people who can speak English clearly and confidently—if you can’t, you may miss out on important job opportunities. Gaining English speaking skills can give you a boost above your competition, especially if some of your competitors don’t have English comprehension. There are over 6,500 spoken languages in the world. Learning English (or any other language, for that matter,) naturally opens up a ton of doors for communicating with others all over the planet. Is there really a better incentive than that? The world is filled with different perspectives and, unfortunately, many of us are only able to see it through one. Learning English, however, expands your mind and allows you to see the world through a different lens—through a different language. How cool is that? Imagine your brother has come down with some unknown ailment. Your skills in English could very well save his life through obtaining information non-English speakers can’t. Or maybe you’re in a foreign land on a vacation and need to ask for directions. Your non-English speaking family members won’t know how to communicate, but you will! Alzheimer’s is an incurable illness that affects the mind, but studies have shown that using your brain can help ward off diseases such as Alzheimer’s. Exercise your brain through learning English and keep it young and healthy. It’s agreeable that Americans and Brits both have many varying and idiosyncratic customs. Their cultures can seem strange and new, but learning English can help you make sense of it all. After learning to speak English, Americans and the British won’t seem quite so eccentric! English has a ton of verb tenses—12, in fact! That’s more than most languages. By learning and understanding English you’ll be able to know exactly when something occurs thanks to the language’s love of tenses. It’s very possible that wherever you may find yourself, somebody will speak English. If you are ever in danger or trapped somewhere with others, there’s a very high likelihood that many of the people around you will also speak English. Now there’s an advantage! 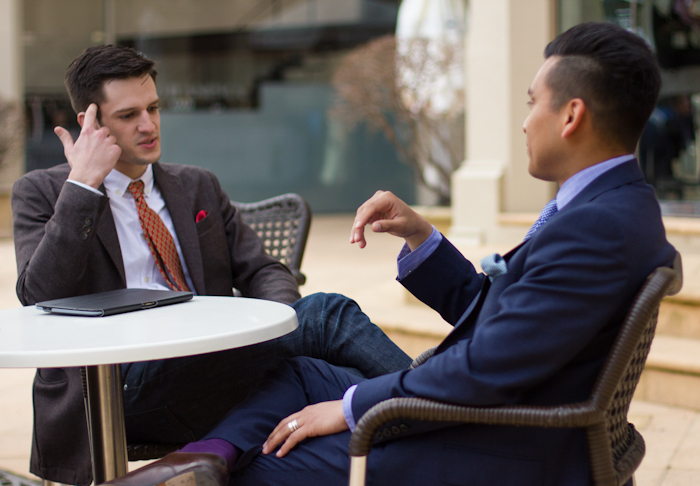 Communication is an extremely vital skill to possess, especially in the business world. Having a foreign accent can make it difficult for your colleagues to understand you. However, with some effort, a strong foreign accent in spoken English does not have to be something you face for a lifetime. You can improve spoken English by overcoming how your mouth shapes words, working with recordings and accent reduction exercises and worksheets, through online English pronunciation courses, and so much more. Finding a speech therapist or accent reduction teacher online can be extremely helpful in reducing communication issues stemming from a strong accent. Your language therapist can help you identify areas you are having problems with and work with you on remedying those difficulties. They can also assist you in practicing English pronunciation, which can greatly aid in reducing your foreign accent. Other than speech therapy, you may want to consider English pronunciation classes as well to bolster your efforts. Try watching TV or listening to the radio, even if they’re just on in the background. Subconsciously, you may be able to pick up a few words or sentences from listening to spoken words. You may, surprisingly, find yourself understanding more and more English words this way, leading to reducing in your accent in English. You may also consider listening to recorded books or having someone read to you. Listening to the spoken word in any form can be beneficial to an ESL learner. Get involved and take part in community activities. Try going to church or neighborhood events. Speak to others in your community and ask them to correct your English if necessary. Utilizing English speaking skills is the most critical way to learn. Take advantage of any opportunity you have to speak to others in English or to speak publically. While speaking to others or in public can be nerve-wracking, it is imperative for you to develop these communication skill sets if you want to speak English fluently. Speaking is not the only way to improve your spoken English. 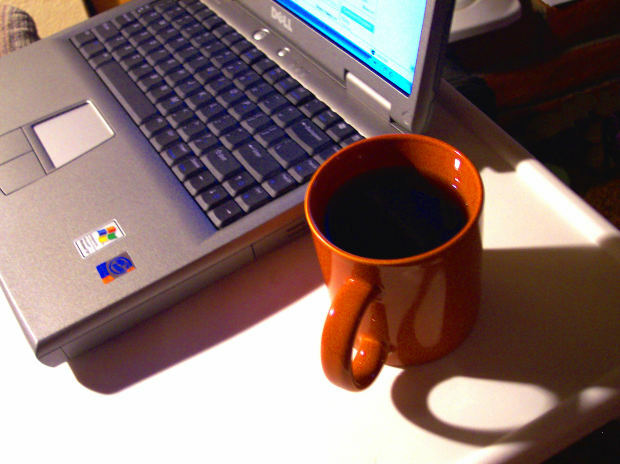 Writing is also a very valuable tool and can help in refining your skills. You may also want to consider finding an editor—whether it’s a friend, family member, or professional—to go over your writing. Have them show you what edits they have made. They can assist you in learning by correcting your spelling and grammar and educating you in proper usage of both. Effectively speaking English requires a good amount of communication skills, and if your listeners cannot understand you, you are not using your skills to their fullest potential. Try a speech therapist, listen to the radio or watch TV, practice face-to-face interactions, get involved in your community, and write as much as you can. All of these exercises will help you overcome your accent and expand the depth of your abilities in English. Learning a language takes time, effort, and a lot of hard work, but with enough hunger to learn and people to help you out along the way, it’s definitely possible. Anxiety about performing a speech is a fear that crosses all barriers—language and otherwise. But with a few simple tips, public speaking can become less stressful for anyone paralyzed by the fear of standing in front of a crowd. Some people are naturally less comfortable standing in front of a group of people and speaking. This is an example of stage anxiety, where a person will become anxious due to a specific event or scenario. Others experience trait anxiety, which means they are inherently anxious people. Many ESL Learners fear speaking in front of others due to an apparent lack of confidence in relaying their thoughts or communicating clearly. 1. Budget your time to accommodate planning and practicing. If you are preparing a speech or presentation, it is imperative that you are confident with what you will be saying or presenting. Confidence can be achieved through sufficiently practicing your material and becoming familiar with it. You may also want to work in small groups with other ESL Learners prior to your presentation to help yourself and each other become more comfortable. 2. Practice breathing. You already know that breathing is essential to speaking if you’ve engaged in a voice training class. Breathing can also be very useful in reducing stress. Attempt to relax yourself by relieving tension in your shoulders and breathing through your nose. Hold your breath, tighten your muscles, and count slowly to five before exhaling. Try this a few times until you feel calmer. 3. Become familiar with the first minute of your speech. Because the opening part of a speech is the most stressful, confidently knowing the first minute of your presentation can help greatly in assuring success. After a solid first minute, anxiety is eased and the rest of the speech will usually be smooth sailing. 4. Maintain a good outlook. Be confident in your abilities and think of yourself as a fluent English speaker. Also remember that your listeners want you to do well and that you are all in this together. 5. Try some exercises. Warm up your mouth by saying “wah-wah-wah” over and over again. This will help relieve tension in your face. Try this with other learners as well. You may also want to remedy any dry mouth you may have by drinking a glass of water. 6. Inhale before speaking. If you are out of breath, your stress can increase, and that can create a bad outcome for your presentation. Take a deep breath, let it out, and then proceed with speaking. 7. Practice as much as possible. Try practicing with your friends, your family, or your instructor, even your accent reduction teacher or coach. The more you practice, the more confident you will become and the better you will be. 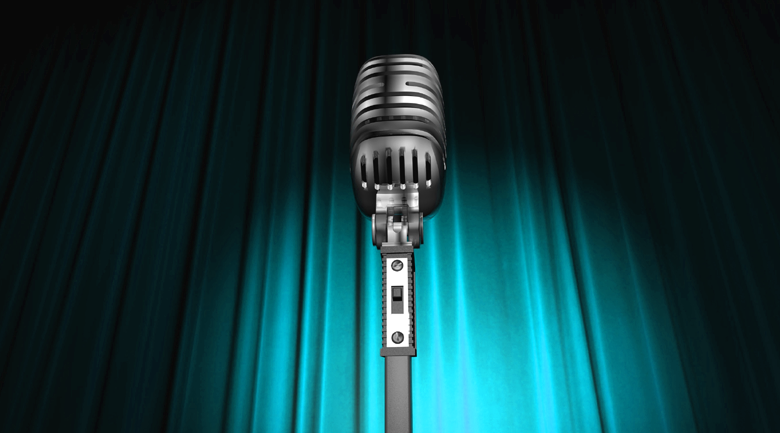 Practice makes perfect and with a bit of effort, speaking publicly can be a breeze. Just remember to have confidence in yourself and your abilities. If these tips were helpful to you, you may also want to consider other Internet resources and learn to speak English fluently with online classes. 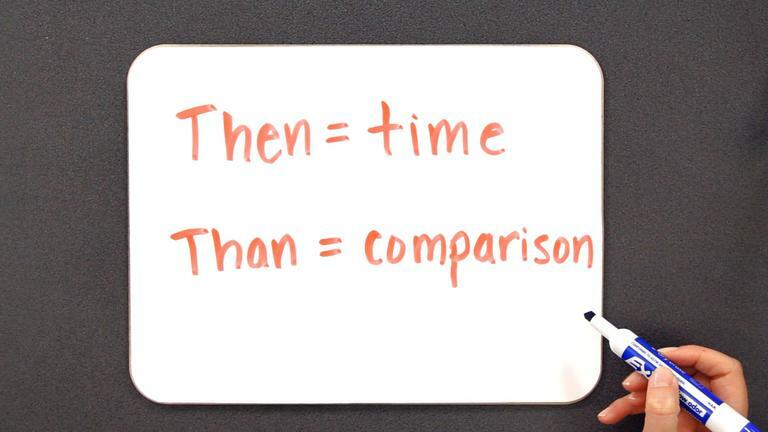 The words “then” and “than” are very commonly used in the English language, but because they sound so similar, they are often confused for each other. Speaking English like an American can be difficult—and even fluent English speakers have trouble discerning the difference between “then” and “than”! Below are a few tips to understand when to use the two words. The word “then” is used to express time. You’ll be back from your vacation in two weeks? I’ll see you then! I’ll be in the office early tomorrow morning. Give me the forms then. First, read your book. Then you can write your report. “Than” is used in order to make comparisons. He’s better at soccer than I am. She understands the material more clearly than I do. He is much older than me! While the English language can be tricky sometimes, knowledge of commonly confused areas of English such as this can greatly improve English fluency for nonnative speakers. conversational English for nonnative speakers, ESL Learners and writing or reading English, how to speak English like an American, learn to speak American English with online pronunciation classes, speak fluent English in 12 weeks, Then Vs. Than, when should I use the word "than", when should I use the word "then"
How Can I Interrupt In a Conversation Without Being Rude or Abrasive? People have plenty of reasons for interrupting a conversation, whether it’s to relay an opinion, quickly ask an unrelated question, join in on the discussion, or to just simply tell someone something. However, interrupting a conversation doesn’t have to be an awkward or rude experience! Below are some phrases and expressions you can use to interject your thoughts into a conversation if the need arises. I apologize for interrupting, but you’re needed by Mike in the other room. Pardon me for the interruption. Alice is waiting for you. Excuse me, could I get through here / your opinion on this / a glass of water? Sometimes people need to ask questions unrelated to the matter at hand. Here are some short forms you can use to interrupt a conversation politely in order to ask a question. I apologize for interrupting, but this won’t take long. I’m very sorry for interrupting, but could you tell me how to get to Main Street? Please excuse my interruption; I have a question. Sometimes, after listening to a conversation for a while, we have the urge to join in. Below are some simple and polite ways to ask to join a discussion. Would it be okay if I said something? Other times, we may feel the need to interrupt a discussion even if our opinion isn’t asked for because we know we have important information that would add value to the conversation. Here are some forms that can help with that. Oftentimes, we ourselves will be interrupted by others. In order to negate another person’s interruption, use these phrases to turn the discussion back over to you. Excuse me, may I please finish? I wasn’t done speaking. Please let me finish. In circumstances when somebody has interrupted you, but you would like to allow it, use these expressions to politely turn the discussion over to them. That’s fine. You may speak. That’s all right. What’s your opinion on this? Yes, of course. What did you want to say? After being interrupted, you can politely turn the conversation back over to you by using one of the following expressions. If we can, I’d like to return to what I was saying. Justin: I really hope I can try out for the tennis team this year but I don’t know if I’ll be too busy. Marlene: Pardon me—you’re needed by Eric. Justin: Oh, thanks, Marlene. I’ll be right there. Joey: Is anyone hungry? Does anyone want to go eat at a restaurant? Dakota: I would like to go eat. Lindsay: Excuse me. I’m very sorry for interrupting, but could you tell me how to get to the mall? Joey: It’s fine. Just head straight down Fifth Avenue and turn left on Main Street. Jennifer: The senator’s social policy is outrageous. I could never vote for her. Clara: But look at her stance on foreign affairs! How can you say she wouldn’t be a good candidate? Mitch: May I add something? Jennifer: Yes, of course. What did you want to say? Mitch: I believe looking at the senator’s positions on the issues one-by-one is a mistake. We should be considering her political platform as a whole. Jennifer: Thank you, Mitch. As I was saying, the senator should invest more time in thinking about the social problems facing our country. When you learn to speak American English fluently, phrases and expressions such as these will come easily to you when you would like to join a discussion. If you’re looking for further knowledge about the English language, you can also improve spoken English with online classes. Audible speaking and effective listening make up complete communication. Being able to communicate effectively in English is essential. Hence, it is important to improve speaking and listening skills. 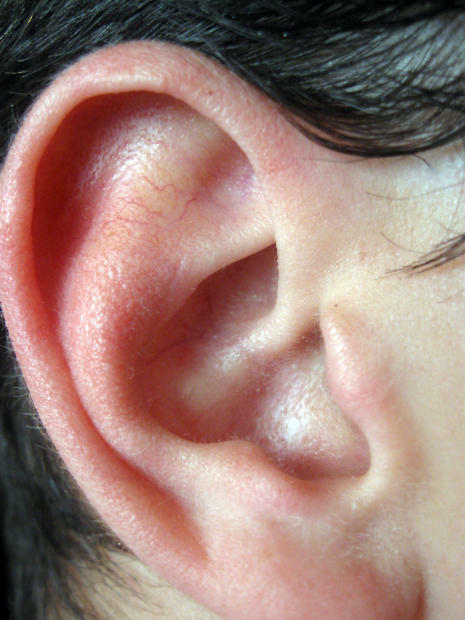 Below are 10 tips on how to effective listening habits can improve spoken English, improve English fluency,and have a positive effect on communication for ESL learners. 1.Take on an encouraging, unbiased and positive attitude towards learning as this will accelerate your speed of mastery of the spoken English through effective listening.2.Listen with full attention when someone is speaking in order to understand, interpret, assess, and respond applicably. Have writing materials handy so you can write down what is being said you don’t interrupt the speaker.3.Nod your head to signal that you are following what is being said. Also, use facial demeanor and expression to show you’re paying attention.4.Rephrase or sum up what you understand from what has been said from time to time—this way, you will clear up confusion and avoid running into any future misunderstanding of the message. 5.You can always request the speaker to elucidate anything that is not plain or clear to you—as the American English saying goes, “The only stupid questions are the ones that are not asked!” 6.Ask questions in an open-minded way to learn to the extent that is possible. Asking questions will improve your English fluency and English pronunciation.7.Keep steady eye contact with the speaker. If you are listening on the phone, try to picture the speaker in your mind.8.Try to understand the full meaning, not just the information, but the feelings and tone communicated as well.9.Hold meetings in quiet surroundings, away from telephones. Allocate sufficient time and disregard distractions that cannot be eradicated.10.Get in touch with a speech-language professional that specializes in training to improve speaking and listening communication in English. 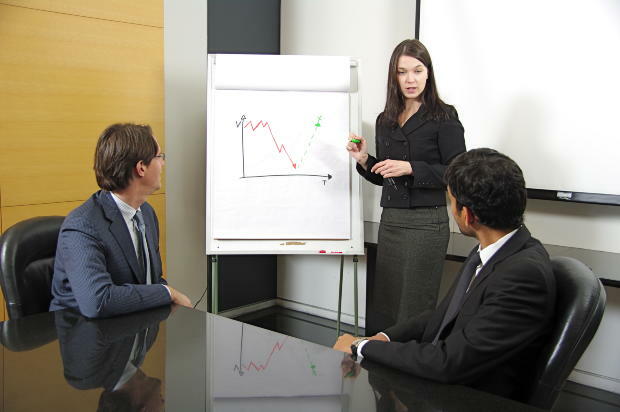 You might benefit from such specialized training that will assist you in communicating effectively with your clients, staff, and colleagues as well as other people within the workplace or in social settings. At times the solution to an eloquent and clear speech is more of what you are not saying than what you are. In your quest to improve English fluency, learning how to put certain appropriate pauses in your speech is one of the oldest, easiest, and most effective strategies of actually improving your English pronunciation, fluency, and quality of speech. A pause is a vital silent feature of an eloquent and clear speech. However, pauses are different and should not be equal. Below are three methods of using pauses to improve communication skills.Pause for precisionSome people make the mistake of rushing through their speech as if they have a better place to be or are forced to speak. This is most noticed when one is anxious or excited. This is not exactly advisable as it can make the listener miss very important information. Try to pause in certain places in your speech, especially when passing vital information to your listeners. 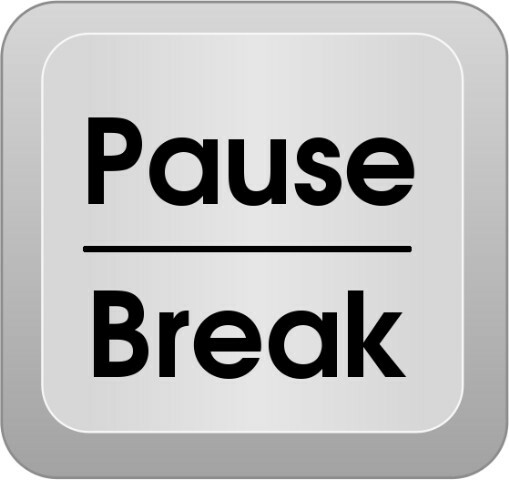 Examples of where pauses are inevitable include your name, your contact details, your company name, and theme.Emphatic pauseWhen it comes to a part of your speech that you need to stress, be sure to pause before and after in order to drive home your information. This will signal the listener that the information passed is critical. People use this a lot when speaking to a group, or in presentations, or even on the phone. This strategy is especially useful if you are trying to persuade your listener, such as a sales pitch or negotiation.Pause to restore attentionAs someone speaking to a group of people, your audience can easily lose concentration after some time, or simply get lost in your speech. Regular well-timed pauses in your speech will help clarify your message and reawaken the attention of your listeners. This way, you can carry your audience along more effectively, thereby making them your message clearer to them to engage them and make yourself memorable. One of the greatest problems people encounter in English pronunciation exercises is the failure to utilize what they have learned on how to reduce foreign accent in English. A lot of people normally devote ample time and effort to improve English fluency but later fail to take the time to put it into practice when they finally succeed in speaking English like an American. Proper and regular practice is one great method of maintaining your American English accent once you’ve mastered it. So find a way to integrate practice into your everyday routine. The following tips will help you maintain your American accent once you have attained mastery.1. Pick an exact time every day that you will use to concentrate on a specific part of your speech. For instance, a particular target sound, pronunciation or slowing down your speed. If you will forget to practice, set an alarm on your mobile to remind yourself to practice for at least 30 minutes. Hang on to your goal, don’t lose sight of it.2. Try and read aloud as much as possible. At the risk of sounding repetitive, take advantage of any chance you get to read out loud. Reading is a great opportunity to maintain your American accent, especially when you’re reading aloud or reading to an audience. It will make you to be cautious of your pronunciation. You don’t have to wait to read aloud to an audience; you can read to your kids or spouse or friend as practice. 3. If you have a spouse or are comfortable with some friends, you can ask them to remind you to focus on your speech whenever you’re communicating with them. This way, you will greatly improve your English pronunciation exercises.4. Drop reminders for yourself. If you would prefer to go about this alone, you can leave reminders such as notes for yourself in places that you can easily come by them often to remind you to concentrate on your maintaining your American accent anytime you’re speaking or reading. The viability of a voicemail depends—to an extent—on the accent of the person leaving the voicemail. A lot of professionals in today’s busy workplaces allow their voicemail to screen their phone calls for them… listening to the messages and returning only the phone calls they consider important. Whether someone will delete the voicemail you left them or not depends on the quality of the message. The following tips will help you in leaving result-getting voicemails.When leaving a voicemail, always remember that a firm voice portrays professionalism and confidence. 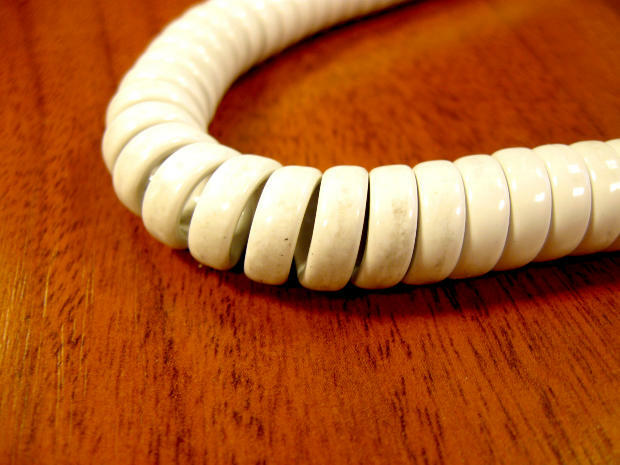 Your breath on the phone can be detected by the person at the other end of the line. Your accent also plays a role here. You stand a better chance if you speak English like an American so your prospect can understand you. Also, power your voice with your breath as you’re on the phone to maintain a firm, confident voice all through your speech.Take regular, strategic pauses from time to time in your message. This is help drive home your point by giving your listener ample time to process your message. Pause before and after saying certain things like your name, company name, in-between your phone number digits as well as the vital points of your speech.Aim for clarity in your speech. An incomprehensible or muffled voice over the phone often results in getting your voicemail deleted almost immediately. This is also where your accent comes into play. Endeavor to improve English fluency and reduce your foreign accent in English. Also, if you still have heavy foreign accent, you can alleviate this with accent reduction classes online that will improve English fluency within three months or less when you use Accent Reduction Center.Be brief and to the point if wish to make a lasting impression on the listener. Inasmuch as you have to emphasis your message, don’t go on and on about the same thing to avoid annoying your listener. You can be concise and still pass the necessary information in your message. In order to achieve this, rehash what you’d say when you call before placing the call. Also keep it within 30 seconds for best results. As a nonnative English speaker, you’ve probably been studying English and sure know a lot of English words. Both your spoken and written English are great, so you’re certain you can live in America and speak English like an American fluently with the people you meet.However, when you arrive here, you discover that it’s not actually what you had anticipated—people may have a hard time understanding you. You may want to consider working on your spoken English. Your accent is just not understandable because your mastery of English is great or even superior to many native speakers. You can improve your pronunciation to be understood. 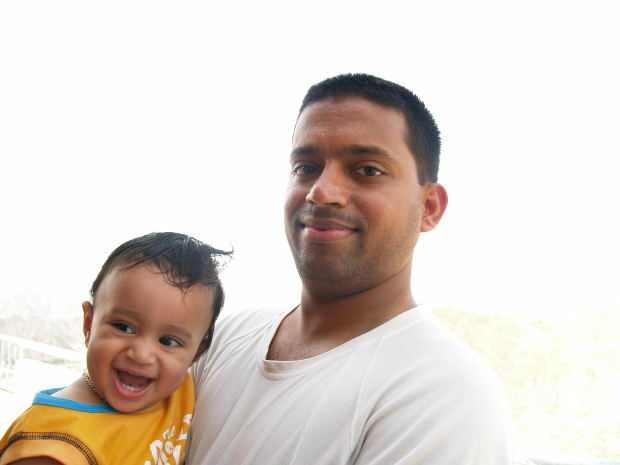 A lot of people tend to use their indigenous accent in English, which brings about the communication issues they suffer from.In order to improve English fluency as an Indian, you need to find out all those sounds that cause the misunderstanding when you speak English and figure out how to pronounce them appropriately. Practicing these sounds daily will improve your pronunciation. There are similarities amid many of the dialects of India; below are the regular sounds that many Indians tend to mix-up in English pronunciation. When you identify the sounds that give you trouble, practice regularly to improve English fluency.1. Saying “F” in place of “V”To make an ‘F’ sound, put your top teeth on your lower lip and blow without using the voice. As explained above, ‘V’ needs the voice. Words such as “Fan” and “Van” can be used to practice.2. Saying “K” in place of “G”Just like in No. 1, ‘K’ is produced without voicing it while ‘G’ required voicing. They are both produced in back of the throat. If you try saying K-k-k-k, you’ll notice that there no vibration but saying G-g-g-g produces a vibration. Words such as “Corn” and “Gun” can be used to practice. 3. Saying “V” in place of “W”The sound ‘V’ doesn’t exist in Indian languages this is why Indians find it hard to pronounce ‘V’. To say the V sound correctly, touch your upper teeth to the lower lip and turn on the voice. Say ‘W’ by squeezing both lips and then moving the lower lip outwards. Words such as “Wan” and “Vane” can be used to practice.4. Saying “S” in place of “Z”A lot of Indians tend to pronounce the ‘Z’ sound as ‘S’ sound. The mouth and tongue are shaped the same way in pronouncing ‘S’ and ‘Z’ but the voicing. ‘Z’ is produced with the voice while ‘S’ is produced without the voice. That is, in pronouncing ‘Z’, there is vibration in the throat while is not so in ‘S’. Words such as “Sit” and “Zit” can be used to practice.5. Omitting Final SoundsMany Indians leave off the final consonants, which are very important in English. This makes it hard for the listener to decide what word was spoken. For instance, word like ‘can,’ ‘cad’ and ‘cat’ all sound like ‘Ca.’ So always pronounce the last consonants.